The stability of IT infrastructure and its ability to resist malevolent attacks is a precondition for a steady functioning of most modern organizations. However, with companies generating immense volumes of digital data on a daily basis and employees accessing company assets remotely, this stability is increasingly difficult to maintain. Coupled with the growing sophistication of cyber attacks, these trends represent an essential challenge for network management professionals. Namely, network vulnerability exploitation is still one of the most frequent entry points for hackers, especially as more devices are being used to access the company network. This is why proper network security practices need to be introduced on multiple levels within an organization, whereupon the responsibility of modern IT professionals is to identify and evaluate the most adequate solutions. Although IT professionals have long mastered advanced computer security implementations, latest reports suggest that data protection is still one of the most challenging areas to manage in organizations of all sizes. 2015 Cyberthreat Defense Report highlights that cyber attacks soared across all industries, while 71% of organizations in total were affected by a breach in 2014. Although the variety of cyber threats constantly grows, network security management remains a critical practice, especially as organizations adopt mobile and BYOD policies. The fact that this can contribute to the increased risk of cyber attacks is confirmed in Midyear Security Report by Cisco, which suggests that the rise of cyber attacks is partly triggered by a multiplicity of devices used to access the network. This is why IT professionals are under a higher pressure when it comes to implementing network solutions that comply with general security standards and internal data protection policies. Traditionally, network management has been referring to the implementation of solutions intended to secure authentication, authorization and accounting processes. However, the rising focus on BYOD and mobile-enabled settings is making organizations more vulnerable, which is what complicates the network management process and imposes new rules for IT professionals. Although the systems still need to pass security protocols such as Transmission Control Protocol (TCP) and User Datagram Protocol (UDP), organizations also need to develop internal protocols that are more appropriate for mobile environment. Depending on the solutions the organization uses and the systems allowed for employees to access, these protocols have to cover all the potential weak security points. The evident complexity of security management requires dedicated IT teams, who are sufficiently educated on the most recent network management practices. This is particularly important for companies that are outsourcing specific IT components and working with different vendors on implementing software solutions. Here, the role of internal IT teams is to perform constant network monitoring and ensure third-parties aren’t given the access to business critical applications. This minimizes the risk of a breach because it limits vendor’s capabilities and ensures only authorized in-house accounts have admin roles. 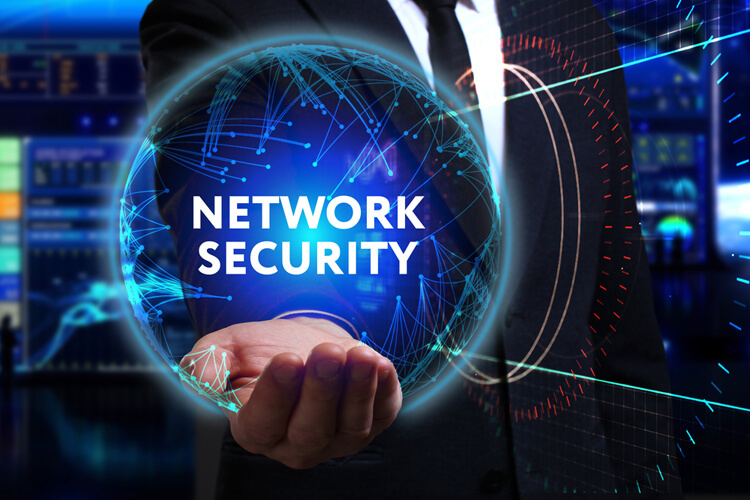 When it comes to the very process of network management, there are several general rules that should be followed in order to ensure maximum protection against intrusion. Full network vulnerability scan. According to 2015 Cyberthreat Defense report, less than 40% of organizations conduct full-network active vulnerability scans more than once per quarter. Considering the increased frequency of breaches and the extent to which this may compromise company data, this is less than desirable. Secure VPN. Considering the rising number of attacks that exploit VPN vulnerabilities, securing this component is vital. However, 2/3 network managers who allow VPN access state their vendors also have the access to business critical applications, according to SecureLink. This means that VPN security is an imperative for IT professionals, who need to be more careful when granting permissions to both employees and external vendors. Statistical monitoring. As one of the most common practices in network management, statistical monitoring can reveal a range of useful data about network activities. However, new solutions for activity log tracking and early identification of unusual statistics allow more advanced monitoring and more potent disaster prevention. Real-time performance. As opposed to statistical monitoring, real-time performance monitoring can help administrators identify suspicious activities as they happen and thus take more efficient steps towards preventing the attack. This form of monitoring has been demonstrated by NetBeez on InteropNet Hot Stage, where the team of networking professionals ensured constant network uptime and reliability through real-time network monitoring. Employee education. Despite the fact network security solutions have matured, employees still represent a considerable threat to the organization’s security, which is why significant attention should be paid to educating employees on the best security practices. Additionally, companies need to introduce new regulations regarding the use of personal and company-owned mobile devices. The age of the cloud and connected devices has reshaped the IT infrastructure as we know it, introducing a range of new opportunities for collaborative environments. On the other hand, it has also contributed to the development of new forms of risks associated with data protection. With large portions of employees in average organization assessing company network from multiple locations and platforms, network management requires new practices. Sarah Green is a blogger and a researcher in the field of cloud computing, web hosting and associated tech trends. She is combining her passion for writing and technology to promote the topics she believes deserve the attention of online communities.